I sometimes review adult literature on this blog, especially if I think it would be suitable for older teens. 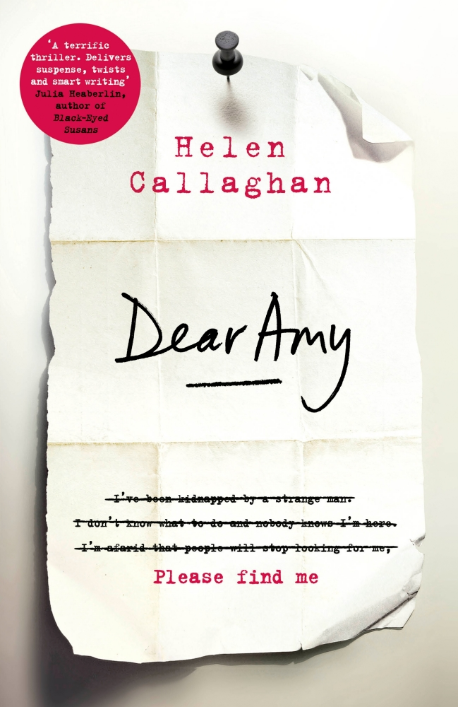 Here's something I read recently: Dear Amy by Helen Callaghan. Where did I get it? I got it on NetGalley so thank you to Penguin UK. I read the description and it appealed to me, so I requested it. What's it about? Margot is the agony aunt on a Cambridgeshire newspaper. She's a teacher in a school where a girl called Katie Browne has just gone missing, and she's about to get divorced from Eddy, who's been sleeping with his boss Arabella. 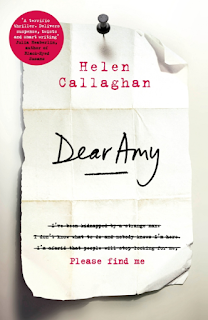 She gets a letter at her column (the eponymous Dear Amy) which is supposedly from schoolgirl Bethan Avery, who went missing twenty years beforehand and who was presumed murdered. second half as much and time seemed to jump around quite a lot which annoyed me. That said, it was nice to read a novel set in Cambridge, I felt like the setting added to the story quite a lot. Margot is a very sympathetic character but most of everyone else around her are awful. Would I recommend the book? Yes, if you liked Gone Girl and other stuff like it. I'm not sorry I read it, I just felt like the 2nd half didn't deliver as it could have.